With news Tuesday of strong sales in December, auto makers' prospects appear to be on the rise. 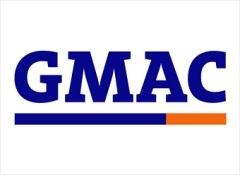 Less certain is what the future holds for GMAC Financial Services, which provides loans to consumers and to auto dealers to help them stock their lots. The struggling finance company said Tuesday it expects to report a $5 billion loss for last year's fourth quarter, raising GMAC's total losses last year to $10 billion.%%DynaPub-Enhancement class="enhancement contentType-HTML Content fragmentId-1 payloadId-61603 alignment-right size-small"%% GMAC attributed the fourth-quarter loss to a $3.8 billion write-down, mostly against its loss-making residential mortgage business and Residential Capital unit, which GMAC is considering spinning off or selling. In taking the charge, GMAC seeks to make ResCap more palatable to investors. In a conference call with reporters and analysts Tuesday, newly installed Chief Executive Michael Carpenter said ResCap was a "major drain" and a "millstone around the company's neck," according to The Detroit News. Carpenter wants to focus on the beleaguered company's auto finance business and paying back taxpayers. GMAC has received $16.3 billion in government support, including an additional $3.8 billion that Treasury Department gave the Detroit-based company just last week. One analyst told The Detroit News thatthe quarterly loss shouldn't be cause for alarm as some of it appears to stem from the accounting charge. GMAC's auto financing metrics "appear to be headed in the right direction," Kirk Ludtke, senior vice president at CRT Capital Group, told the newspaper. The company, which dates back to 1919, was founded to help consumers buy cars and today is a major supplier of loans to GM and Chrysler customers. It jumped into mortgages amid the housing boom and, as with many other lenders, took on large amounts of bad debt. It lost $13 billion during the last three years as customers defaulted on their mortgages when home values dropped precipitously. Cerberus, the private-equity firm that bought GMAC from GM in 2006, continues to hold a 15% stake in the company, according to The Washington Post. Should the government's latest round of aid help GMAC return to profitability, Cerberus would be among the beneficiaries, an ironic outcome for a company that's responsible for driving Chrysler into bankruptcy after purchasing the auto maker from Germany's Daimler in 2007.